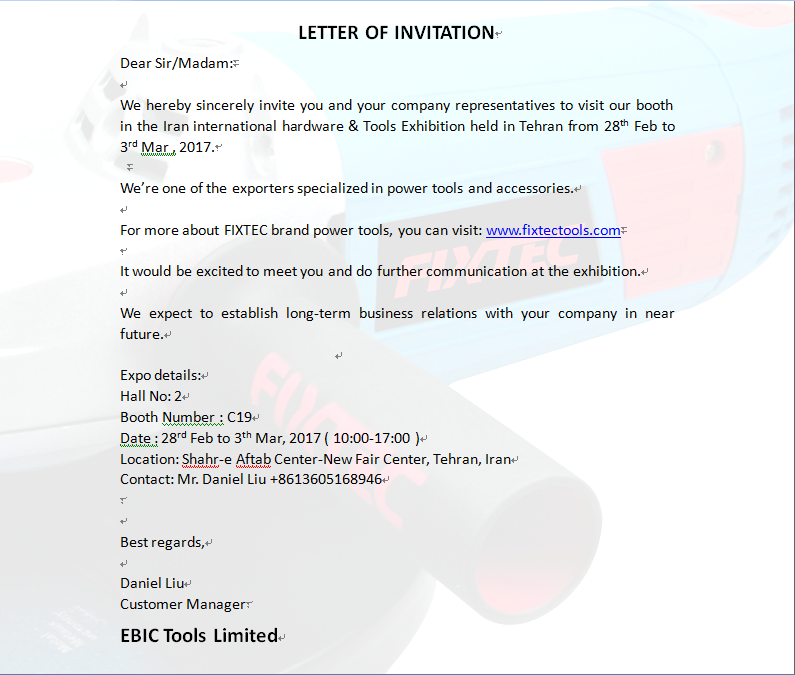 On 28th Feb to 3rd Mar,2017.Have a trip to Iran with FIXTEC to participate in Trade Fair. Home > News > On 28th Feb to 3rd Mar,2017.Have a trip to Iran with FIXTEC to participate in Trade Fair. Previous: Canton Fair from 15th-19th April, welcome to visit our booth.